The following accessories are available for the Time Machine. Shipping charges (and sales tax in California) will be added. Will trigger on sounds in the room, like a popping balloon. Includes a 6 foot cable. 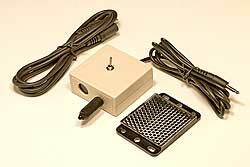 This is a clip-on acoustic vibration sensor. 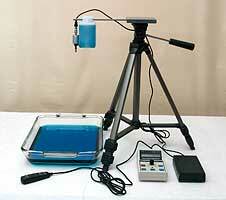 It detects vibration and is used for unattended wildlife photography. Includes a 6 foot cable. This acoustic sensor works like the one above, but it has no alligator clip. It's a simple, thin, flat disk. It's more sensitive than the clip-on type, and is more convenient in some situations. Includes a 6 foot cable. This optical sensor detects objects (like water drops) which pass between the two posts. Any object that interrupts the infrared beam will trigger an exposure. Includes a 6 foot cable. This optical sensor detects objects which come within 1/2 inch of the tip. It can see most objects, including waster drops. Includes a 6 foot cable. This fast PIN diode photo detector is used for measuring electronic flash speeds and lag times. Includes a 6 foot cable. This sensor is used with the Time Lapse mode to limit exposures to daytime or nighttime only. Includes a 6 foot cable. This circuit plugs into the Sensor jack and is used to limit time lapse exposures to a limited number of hours each day. Switch settings let you choose any whole hour setting from one to 24 hours. For example, it would allow you to take time lapse pictures only from 8 AM to 3 PM every day. This optical sensor uses a laser diode and photo detector. The laser beam is aimed into the detector, or a mirror can be used to reflect the beam back to the detector. The laser is arranged so that the object you wish to photograph blocks the beam and triggers an exposure. A 1/4-20 threaded fitting in the bottom of the boxes allows you to mount them on a tripod (tripod is not included). The laser beam allows precise triggering, and can detect very fast objects. Both laser and detector boxes have a 6 foot cable. This laser sensor has a jack on the back where you can plug in the laser sensor above to define a single point in space where a subject will be photographed. The laser beams are arranged to cross each other, and a picture will be taken only when a subject (like a bird or bug) breaks both beams at their point of intersection. A toggle switch on this sensor also allows the two lasers to be used independently, so a picture will be taken when a subject breaks either beam. A 1/4-20 threaded fitting in the bottom allow you to mount it on a tripod (tripod is not included). Includes a 6 foot cable and 6 foot extension cable. This optical sensor uses an invisible beam of infrared light. A special reflector is used to reflect the beam back to the detector, or the detector may be unplugged and put at the end of an extension cable and pointed back towards the beam. The sensor is arranged so that the subject you wish to photograph will block the beam and trigger an exposure. The detection range is about 25 feet when used with a reflector. The range is greater when the emitter is placed at the end of an extension cable. A 1/4-20 threaded fitting in the bottom allows you to mount the sensor on a camera tripod (tripod is not included). Includes a 6 foot cable sensor cable and 6 foot extension cable. 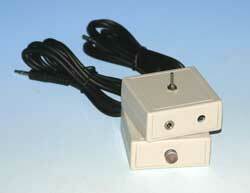 This IR sensor has a toggle switch with which you can select long range or short range detection. The short range is like the sensors above. The long range will work over 50 feet with a reflector or twice that by using a cable on the emitter (cable not included). The long range provides more IR light for the detector. This allows the sensor to work over greater distance, but it draws more power too so you probably need to use the AC adaptor or an external battery. Also, the additional IR light can flood close subjects and prevent them from triggering the Time Machine. A 1/4-20 threaded fitting in the bottom allows you to mount it on a tripod (tripod is not included). Includes a 6 foot cable and 6 foot extension cable. This sensor is based on a passive infrared (PIR) motion detector. 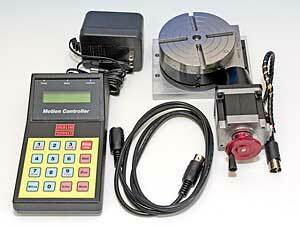 This is the sort of detector that's used in burglar alarms or to turns lights on when someone comes near. 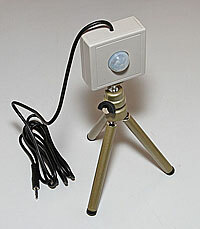 The detector has a 1/4-20 threaded fitting on the bottom so you can mount it on a camera tripod (tripod is not included). 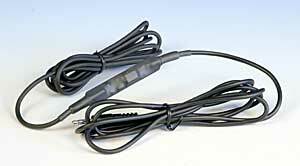 The six foot cable plugs into the Time Machine sensor jack and provides power to the detector. Objects moving up to 30 feet in front of the detector will trigger the Time Machine. The horizontal viewing angle is about sixty degrees. This sensor covers a much broader area than the sensors above, but may not see very fast moving objects (like a bird in flight). This sensor is designed to be used with the Ballistic Mode of the Time Machine. It has two optical detectors and a small microprocessor mounted to a PVC pipe. The pipe is slipped over the barrel of your gun. When a projectile is fired, it is detected by the two sensors and a signal is sent to the Time Machine that indicates the speed of the projectile. The Time Machine can then calculate when to fire a flash to capture that particular projectile at a specific location. This is especially helpful with blow guns or air guns because any projectile may be faster or slower than the next. The tubing diameter is 1". Standard plumbing adaptors can be used to adapt the sensor to smaller diameters. Adapting the sensor to a pellet gun will be much easier if the barrel of the gun is round. Many pellet pistols have square barrels. An good choice is the Crosman model 2240 CO2 pellet pistol. Includes a 6 foot cable. The rotary table allows the Time Machine to rotate a camera as it shoots time lapse sequences for dynamic pan or tilt effects. You can also mount the rotary table to a dolly and arrange a cable to pull the dolly along a track. Shown here is the standard version. The enhanced version has a different motor for finer steps, and has no handwheel. It includes the rotary table with motor, a Motion Controller box to drive the motor, an AC adaptor for 100 volts AC, a 6 foot extension cable for the motor, and an interface cable to the Time Machine. You can also run it on your own 12 volt battery. Click here for a complete description. The Drip Kit allows the Time Machine to automatically emit accurately timed drops of water or other fluids for the purpose of photographing single drops or multiple drops and drop collisions. Click here for a complete description. This device plugs into the shutter jack of the Time Machine and has four jacks on it. When the Time Machine is configured to shoot multiple exposures from a single trigger event, the Flash Sequencer will ripple the exposures to the four jacks, one after another. If you have four separate flash units plugged into the four jacks, you can get four sequencial flashes much faster than the recycle time of an electronic flash. If more than four exposures were requested, the sequence repeats and exposure five will be directed back to output one. 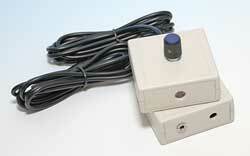 The Flash Sequencer is available with 1/8" phone jacks or PC (sync) jacks. Includes a 6 foot cable. The flash sequencer is also available in an 8 channel design. Includes a 6 foot cable. This infrared emitter is used to trip the shutter of some digital cameras by emulating the remote control function built into the camera. Versions are available for Canon, Nikon, Olympus and Sony cameras. Includes a 6 foot cable. We make a variety of shutter cables to interface with the Time Machine by modifying the shutter release cable for your camera. 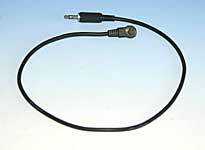 Shown here is a cable for Canon EOS cameras like the 1D, 5D, 30D, 20D, D60, or D30. Our Order Form lists a variety of cables. Email us if your camera is not listed. This cable allows the Time Machine to start and stop the filming of many movie cameras in response to trigger or time lapse actions.